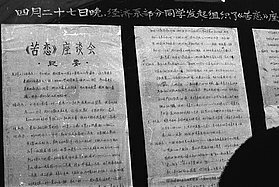 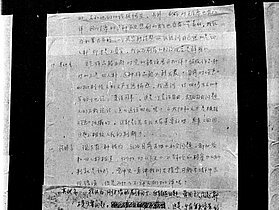 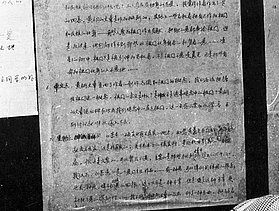 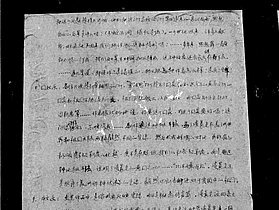 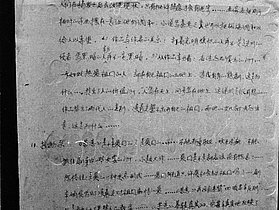 In his novel "Bitter Love", the outspoken army writer Bai Hua (白桦) tells the story of an exiled Chinese painter who returned from abroad after Mao's revolution, only to become a target of the political persecutions of the 1950s and 60s. 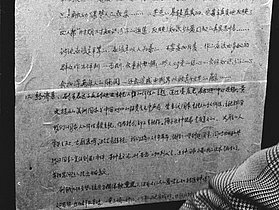 The film based on Bai Hua's novel was finished in 1981, but not allowed to be publically shown after some members of the state and party leadership (allegedly including Deng Xiaoping) had harshly criticized the movie. 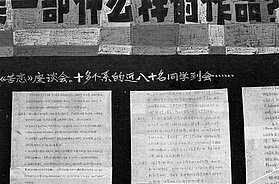 In April 1981 the official party media ran hefty attacks on Bai Hua, accusing him of violating socialist principles and advocating "anarchism, ultra-individualism, bourgeois liberalism and erroneous thought", "vilifying" and "slandering" the Communist Party in his fim script and "negating patriotism". 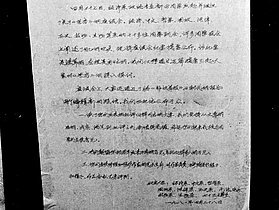 Many intellectuals and artists became afraid that this criticism could lead to a general witch-hunt similar to Mao's Cultural Revolution. 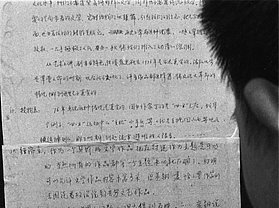 The debate at the Peking University documented in the photos below, is an expression of such anxieties. 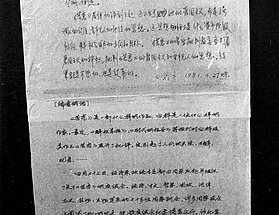 But there was also opposition inside the leadership, it is said that Party Secretary General Hu Yaobang protected Bai Hua. 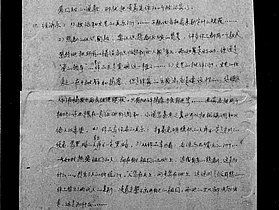 Bai could eventually even remain a party member, although he was not allowed to answer publically to the criticism. 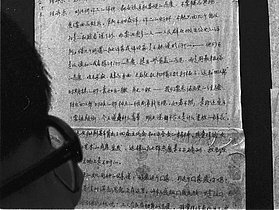 And his film "Bitter Love" could never be screened in China or abroad. 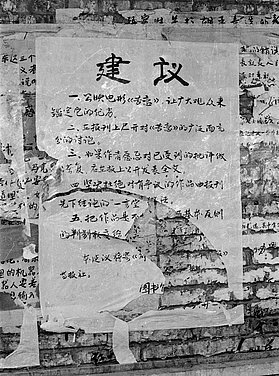 The author of this poster demands a public screening of the movie "Bitter Love", a public debate in the leading state media and an opportunity for the attacked autor Bai Hua to publically respond to the official criticism against him. 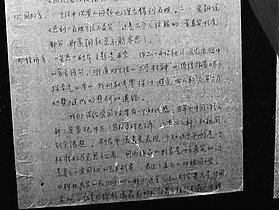 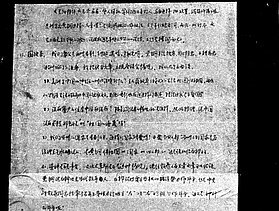 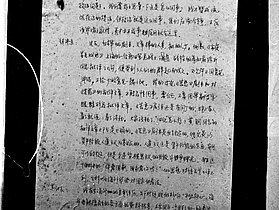 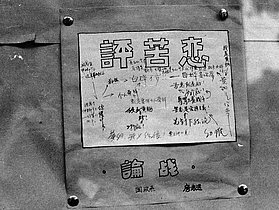 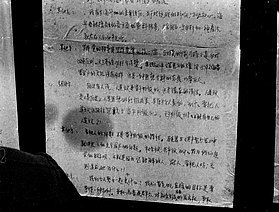 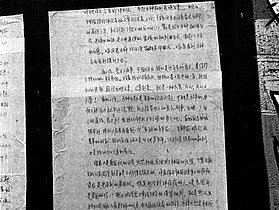 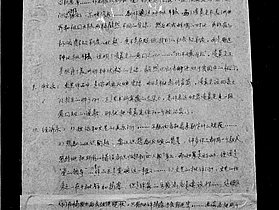 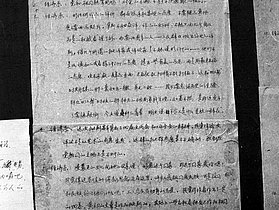 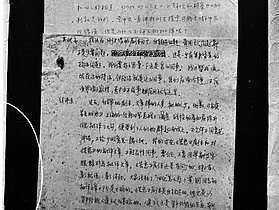 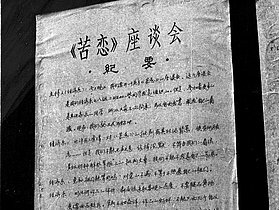 "The controversy on 'Bitter Love'" by Fang Zhiyuan, Department of Politics (a candidate at the 1980 Peking University elections), with readers' remarks but no photos of this text itself unfortunately).